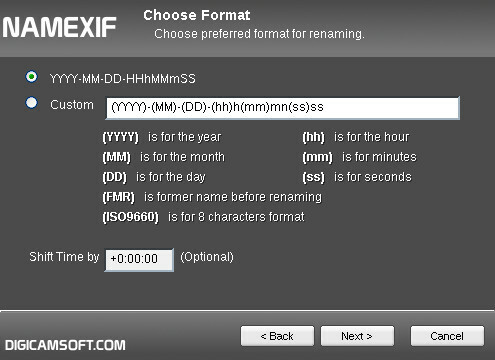 I would appreciate if I can select the format I already use in my photos (YYYYMMDD_HHMMSS_Old_Name). Can offer the option of having the old name in the new name with a wider variety of prefix format. What you refer as Old_Name is Former name. Of course, please pay attention that once renamed, former name will become actual new name, so you might not want to rename again multiple times.